The Long Shop Museum was founded in 1984. An accredited museum, it is housed in a cluster of historic buildings in the Suffolk town of Leiston. These form part of the original 19th century works site of Richard Garrett and Sons. Garretts were world-famous manufacturers of steam engines and other agricultural machinery. The Museum site covers over an acre. It includes eight historic buildings including one which is grade II, and The Long Shop – a prototype for assembly line production – which is grade II* listed. Beside the Museum, several other works buildings also remain. These have been converted to other uses but retain their character and enhance the Museum visit experience for visitors. The Long Shop has excellent collections relating to Garretts including machinery, tools and many items that were made by the works during its over 200 years, from sickles to steam engines and from guns to dry cleaning machines. There are also significant collections relating to the Garret family including Elizabeth Garrett, the first woman doctor. Leiston is an anomaly in the otherwise rural county of Suffolk. The museum explains the town’s industrial character and how its residents shared in the industrial revolution that flourished in towns and cities in the Midlands and the North of England. The Museum is committed to its local community and provides a vibrant focus for local cultural and heritage activities throughout the year. It is also developing as a centre for learning and offers pre-school, school and adult learning programmes. The Long Shop makes an important contribution to the tourism offer locally, both in Leiston and in the Suffolk Coastal area, where it is an active player in Suffolk Coast DMO (destination management organisation). Attracting around 10,000 general visitors each year, The Long Shop is also a place of pilgrimage for people interested in industrial archaeology. 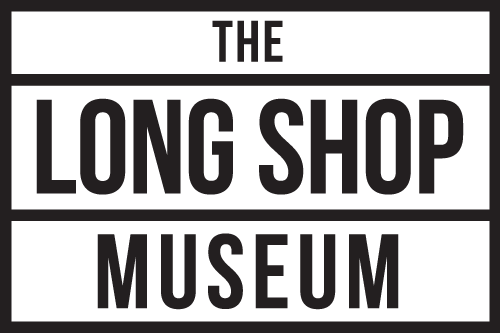 The Long Shop is an independent museum and registered charity (no. 1167945), run by the Long Shop Museum. The Museum is governed by its board of trustees, which meets at least four times a year, A management group of Trustees, senior staff and volunteer team leaders meets monthly and supports the Curator in the day to day management of the Museum. The Museum’s gross income for 2013 was £199,164. The Curator reports to the Board of Trustees. The Museum has two part-time and one full-time member of staff, including the Curator, and over 100 volunteers working in a variety of roles. A quarterly Volunteers Forum, with an elected chairman, allows all volunteers to find out about, discuss and contribute to museum plans and activities. Friends of the Long Shop Museum is an independent organisation, with its own committee, which supports the work of the Museum, mainly through subscription income.